CMC publishes a number of different works as part of its ongoing Contemporary Music Centre Editions series. This series includes a number of recital-standard solo repertoire and albums of specially commissioned works as test pieces for the Dublin International Piano Competition since its inception in 1988. 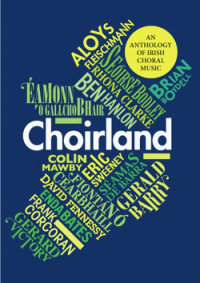 In 2012 CMC in association with the Association of Irish Choirs and Chamber Choir Ireland published Choirland, an Anthology of Irish Choral Music, funded by the Arts Council. CMC also publishes Raymond Deane's Seachanges, one of the prescribed works on the Leaving Certificate Music course. To browse and purchase these works, visit our online shop here.